Toyota i- Bento was developed during my summer internship at Toyota Boshoku, Japan. It targets for future sharing mobility in Japan by 2030. 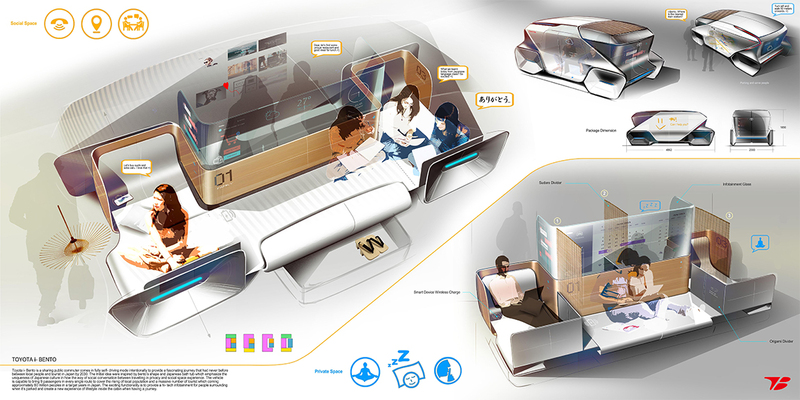 Regarding on the rising population and tourist which visit to Japan by 2020 (Olympic) until 2030, Japanese people need an autonomous mobility that helps local people and tourist to communicate in private and social way to balance the mobility system while moving and advanced living in future Japan. First of all, I did a research regarding on the Japanese’s tradition and culture by visiting a historical places, conversation between local people and experience by myself to get a real life and actual story about any potential things, what’s people need and their dream for the future mobility. 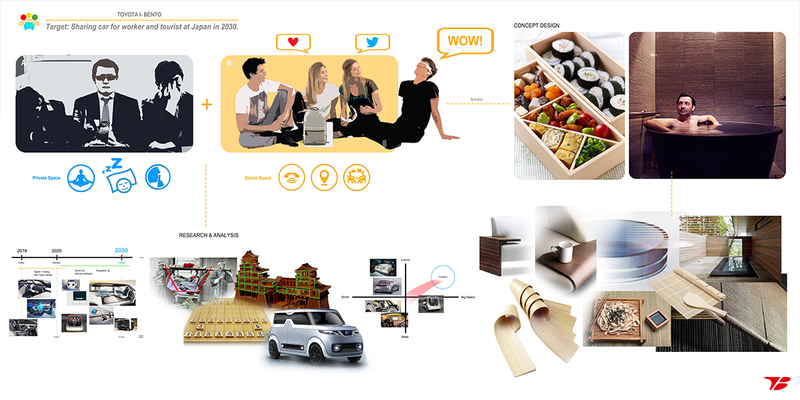 I’d get inspiration by bento/ Japanese food container and Japanese bath tub that showing a hints and ideas regarding on how Japanese people communicate between each other and having social network in the public space. 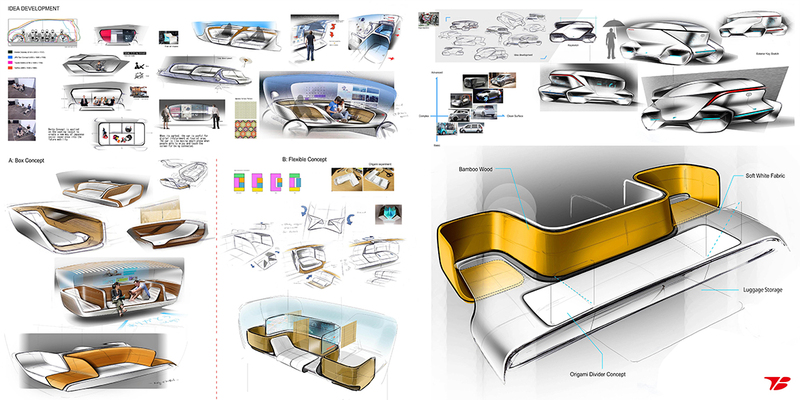 in the beginning, I was sketching manually by pen on the blank of paper to get a rough ideas and shape based on the packaging’s vehicle which I decide. I built a 3d modelling by Rhinoceros software to understand the overall shape and wheelbase in all view and perspective. Then, I traced a 3d model data for guiding me in Adobe Photoshop to visualize my overall design for more realistic and reasonable design. After my design was selected, I had opportunity to build a scale- model as learning process. I had a great opportunity to present my project to all design department, top management and others division about my vision towards future mobility in Japan. They were excited and curios about my founding in the possibility on self-driving vehicle in Japan and the capabilities of the vehicle to welcome a foreigner and Japanese people while moving in different destination. Personally, I learnt a lot of knowledge by experience by myself or in Japanese word is Genchi Genbetsu. For me, it is very important in learning process which not only depend on internet and Google without experience and walk down by yourself.